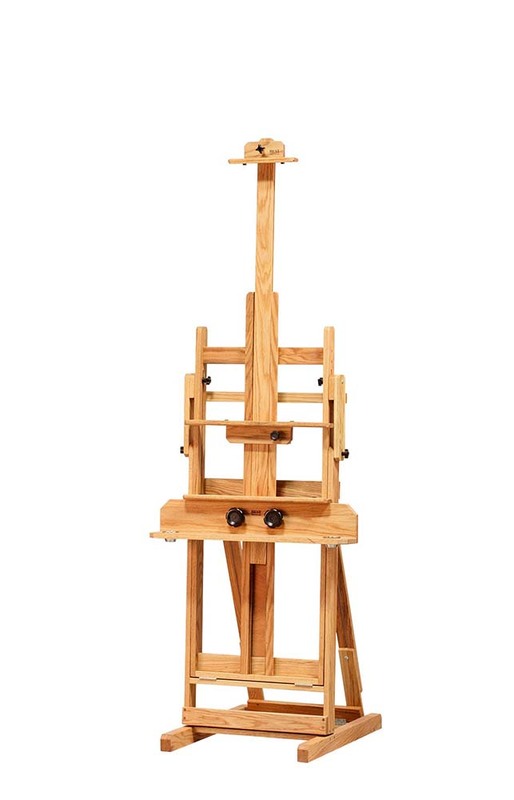 For painters and pastel artists. 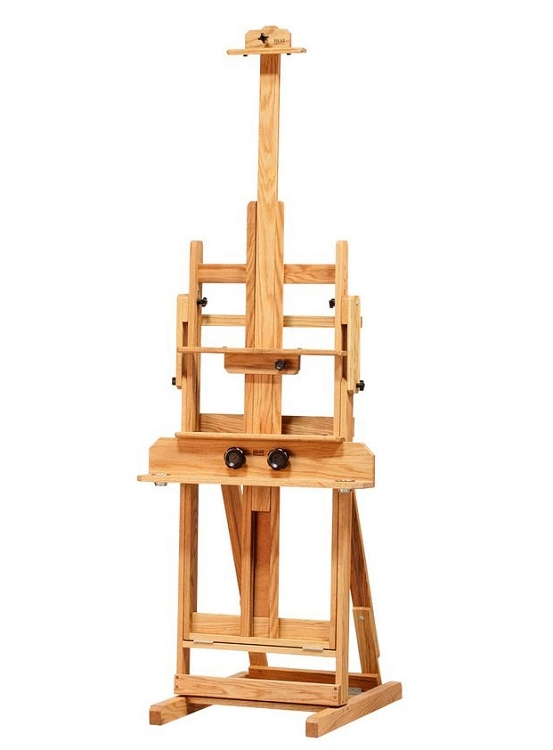 This solid oak easel offers a wide range of tilt adjustments including a forward tilt of nearly 60 degrees to allow pastel dust to fall from the surface or to reduce glare.• Can hold canvases up to 84".• Base width/depth: 22 1/2" x 30".• Ceiling height: lowest setting is 75".• Highest setting is 110".• Deluxe 30" wide painting tray.• Middle painting tray for smaller work.• Hinges at joints for maximum strength.• Double laminated base for strength.• Front locking casters are optional.• Shipping weight: 68 lbs.• Ships partially assembled by truck. 595 points will be rewarded when you are logged in to your account and buy this item.